Bill, 58, has been actively involved in the solid waste management and recycling industry since 1985. He was President and co-founder of Waste Reduction Systems (WRS), a fully-integrated solid waste collection, recycling, transfer and disposal business in Southeast Texas. In 1998, WRS merged with USA Waste Services, which subsequently merged with Waste Management. In 1999, WRS formed a sister company named NOVUS Wood Group, LP (NOVUS) and began developing an array of beneficial use products from urban woody debris normally destined for landfill disposal. NOVUS operates in Southeast Texas and manufactures large quantities of native mulch, colored mulch, soil amendments, playground fall surface material, erosion control products and boiler fuel. Bill is the President of the General Partner and its largest shareholder. In 2011, the principals and owners of NOVUS formed Freedom CNG to develop natural gas fueling infrastructure in Houston to provide a clean, affordable, American substitute for gasoline and diesel fuel. Bill is the founder and co-manager of Freedom Fuel Operating LLC. 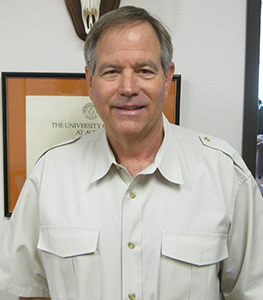 Bill received a BBA from the University of Texas at Austin in 1982. Bill has been married for over 31 years and has three children.